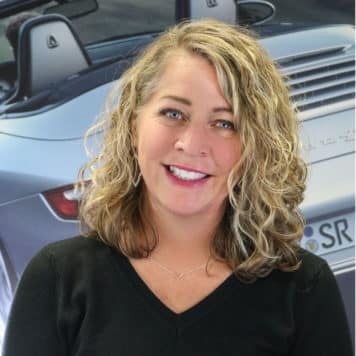 Jessica has been with Kendall Auto Group for over 10 years and with the Porsche brand for 5 years as General Manager of Porsche, Audi and Volkswagen of Anchorage before coming home to her native Oregon to join the Porsche Bend team. 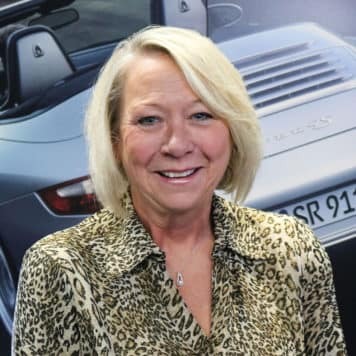 She prides herself on providing all Porsche Bend clients with world-class customer service and providing a team of highly skilled staff to assist Porsche Bend clients with all sales, service and parts needs. Jordan grew up in Northern California and has been in Bend for the past few years. Jordan is a Veteran of the Armed Forces. He enjoys all things cars, outdoors, and breweries. 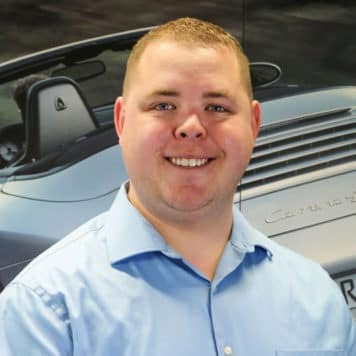 Jordan has been in the car business since June of 2016 and can answer all of your finance and insurance questions. Jimmy is a native Oregonian with a deep rooted love for new vehicle technology and design. 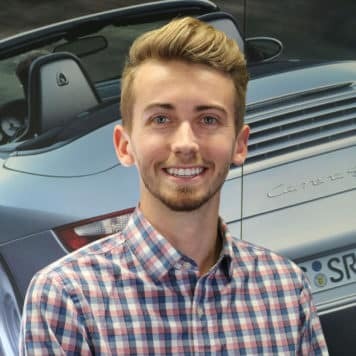 With a study abroad trip in Germany through Oregon State University, he experienced first-hand the exceptional German engineering, manufacturing innovations, and Autobahn driving dynamics that go into every vehicle and has been a dedicated fan ever since. 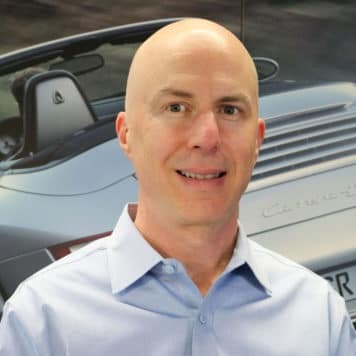 Jimmy has an appreciation for Porsche’s storied history and looks forward to being a part of its future here in Central Oregon. 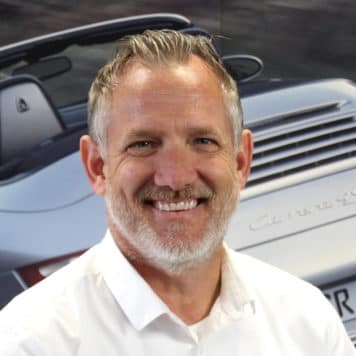 Rob Weston has been with Porsche Bend since June of 2005 and continues his tenure today! 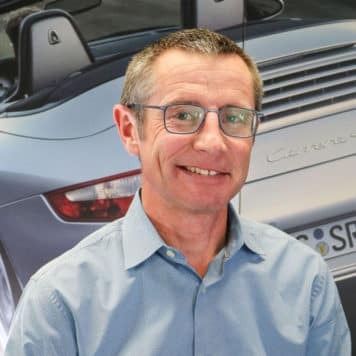 Rob brings years of experience and understanding of the Porsche philosophy to our customers along with a passion for motorsports. He can talk Porsche history, racing, and engineering with the best but is always learning new things about this great German motorsports brand. After completing his Porsche Brand Ambassador training at its inception in 2011, he has also completed the Masters program in Summer 2018. Rob is happy to be of service to all of our Porsche buyers including clients wanting to custom order from the factory! Garrick grew up in the foothills of the Sierra Nevada mountains where he found his passion for cars. His passion of air-cooled Volkswagens led him to his love of Porsche. Garrick achieved his Gold certification in 2015, the highest level awarded by Porsche. In his free time, he enjoys cycling, fishing, and visiting local breweries with his dachshunds. Steve has been a lifelong Porsche fan having owned a 1970 E track car and a 1973 914. He is also an avid mountain biker and all-around outdoor enthusiast. 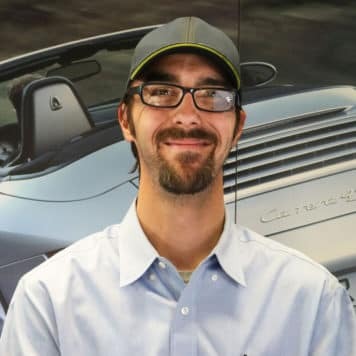 Steve earned his Service Advisor certification in Aug. 2015 and is quite proud to have earned his Global Brand Ambassador certification in Dec. 2017. Mike has been with the Kendall Team since 2016. Upon returning to Bend, Mike has enjoyed all that Central Oregon has to offer! 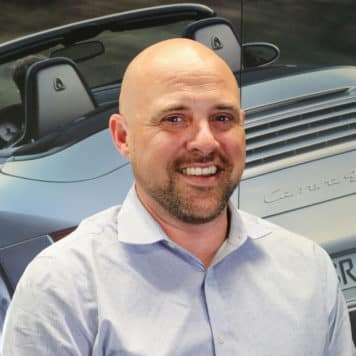 With nearly 20 years’ experience in high-line automotive dealerships, Mike has a unique prospective regarding building a relationship between the Dealer Staff and the Customers based on trust and respect. 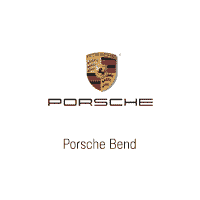 Come down and see what is happening at Porsche Bend! Jamie moved to Bend in 2017 from the Washington, D.C. metro area with his wife (a Bend native) and two daughters in order to be closer to family, and also to enjoy everything Central Oregon has to offer. 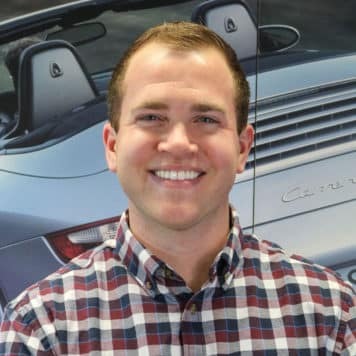 Jamie started with Porsche in 2001 at a large dealer in northern Virginia where he built quite a following of clients who appreciated his straight-forward style and top service. 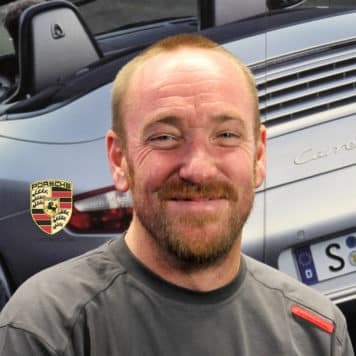 Jamie is a Porsche Certified Master Brand Ambassador, and also a factory-trained Porsche Exclusive specialist (to better serve any client wishing to order a unique, one-of-a-kind Porsche). 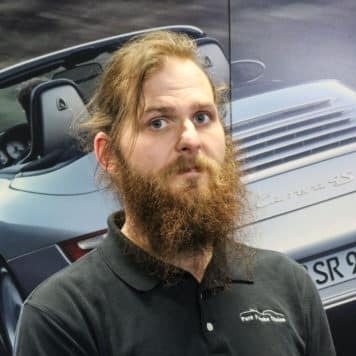 Jamie has been a car enthusiast from an early age, and came to love Porsche after living in Germany for a few years as a teen. 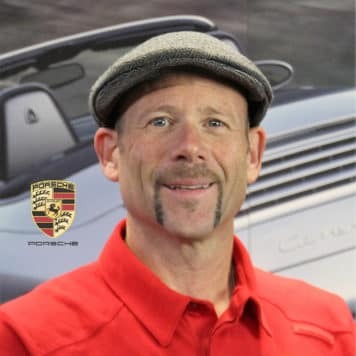 He has owned 6 Porsche vehicles over the years, and his favorite model is anything with a GTS badge. In his spare time, Jamie enjoys mountain biking and spending time with his family. Jacob was raised here in the NW, and a big Porsche fan. Growing up around the brand, feels like home to him. Jacob loves meeting new people and teaching them about Porsche. When Jacob is not at work you can find him outside and enjoying everything that this paradise has to offer! Born and raised in Palm Springs, Heidi moved to Oregon in 1999. 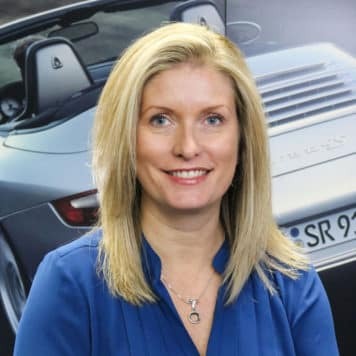 She has been in the hospitality industry for over 20 years and received her Porsche ambassadorship in 2017. As an enthusiast, she continues to appreciate the passion and technology that envelops Porsche as a timeless brand. 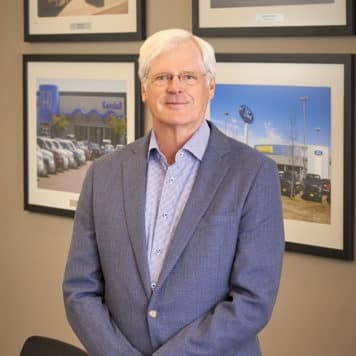 Damon is a third-generation automobile professional with over 20 years of experience in the industry. Originally from New Mexico, he spent over a quarter of his life in Jackson Hole, WY before coming to Bend five years ago with his wife and two lovely daughters. You can find Damon searching for steelhead, in the mountains, or cooking up something tasty when he is out of the office. 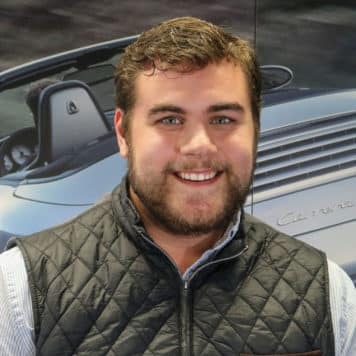 Damon has the experience and outgoing personality that will make your Porsche experience truly memorable. Mark was born and raised in San Diego, CA and has been working in the automotive industry for over 10 years. He enjoys spending time at home with his lovely wife and amazing daughter. In his free time he likes to go shooting and simply enjoying life in Central Oregon.